While The Repressions are preparing to finally record their full length album, where can you find a lot of their music? For now… this playlist of mostly live videos… Not quite all of the songs but a good deal.. plus two strange cover songs. Thank you for listening. Get your cereal ready, big kids. 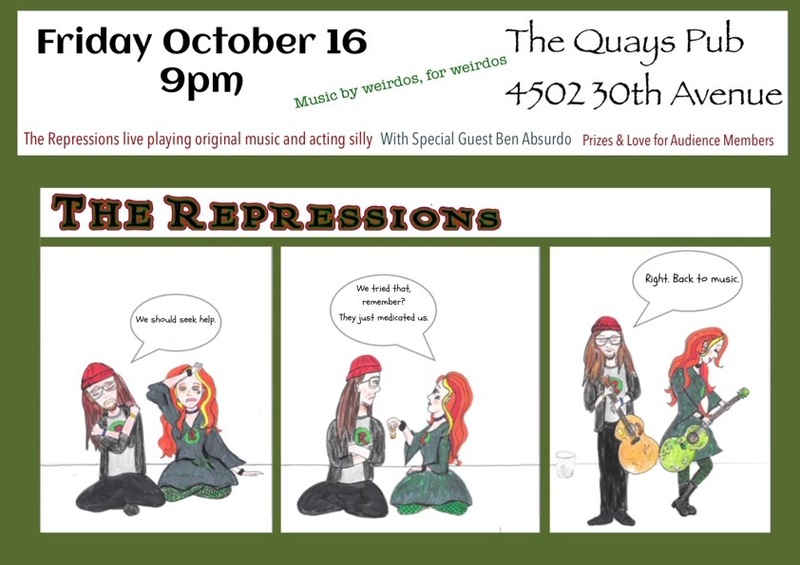 Come and be mental next Friday in Astoria with The Repressions!